Standard equipment on the Great Wall X240 includes leather trimmed seats, Bluetooth, alloy wheels, reverse camera and climate control air con. MONEY talks ... and in the case of Great Wall's X240 it is speaking volumes. 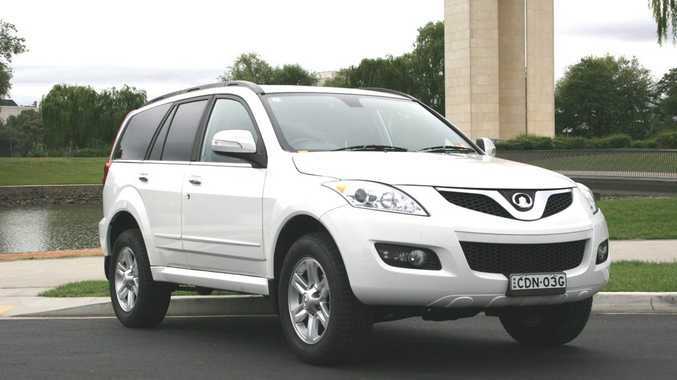 Already attracting strong sales with is bargain pricing and good equipment levels, the Chinese car maker is further sweetening the deal with another $2000 off its four-wheel drive sports utility vehicle for an asking price of $21,990 drive away. Standard equipment on the mid-size SUV includes leather trimmed seats, Bluetooth, alloy wheels, reverse camera and climate control air con. The manufacturer's bonus on all 2012 X series Great Wall SUVs means the price will remain at $21,990 between now and December 31 this year. Bonuses extend across the X series range, so the 2.0-litre common rail turbo-diesel X200 4WD manual will be priced from $24,990 drive away, and the X200 4WD auto $26,990. Since its launch here in June 2009 Great Wall has sold more than 26,000 utes and SUVs in Australia. All Great Walls have a three-year 100,000km warranty, with roadside assist.